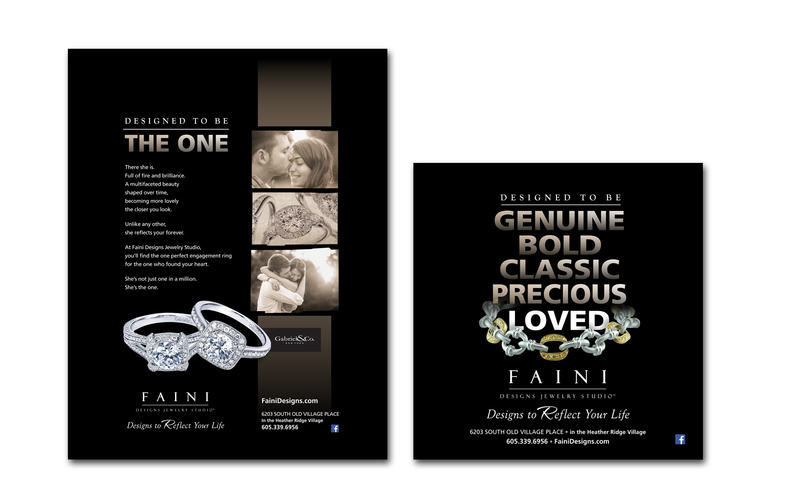 When two companies passionate about design come together, the results are bound to be brilliant. 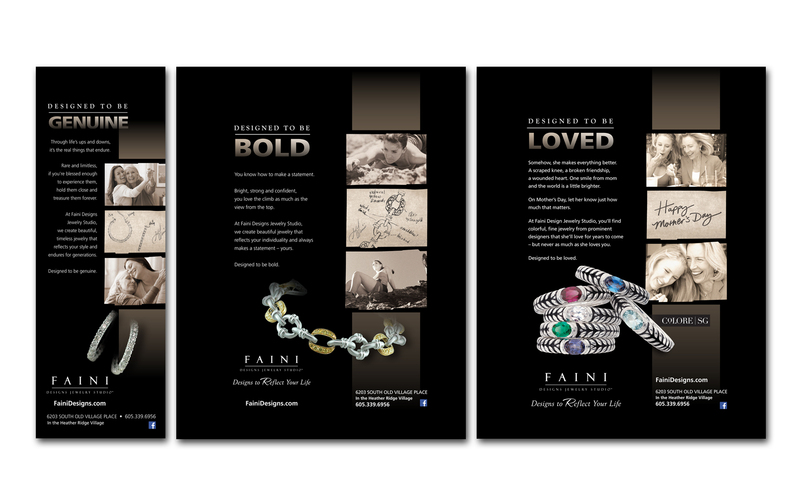 Rooted in a history of expert jewelry repair, Faini Designs Jewelry Studio is a retail success story designing rings, watches and lots of other shiny accessories with an eye for every detail. They also carry jewelry from other prominent designers across the country. 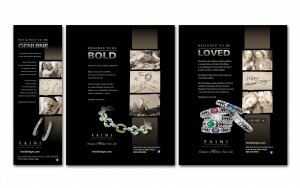 We created “designed to be…” print ads featuring big, bold jewelry designs as unique as each Faini customer and a bit of heart-tugging copy to tell one-of-a-kind stories. 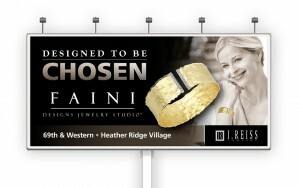 Billboards, social media, and radio messages support the print and television campaign. To hit the message home, we made “designed to be” t-shirts to let their customers announced their personality to the world.